seaworthy stories that celebrate our coast. 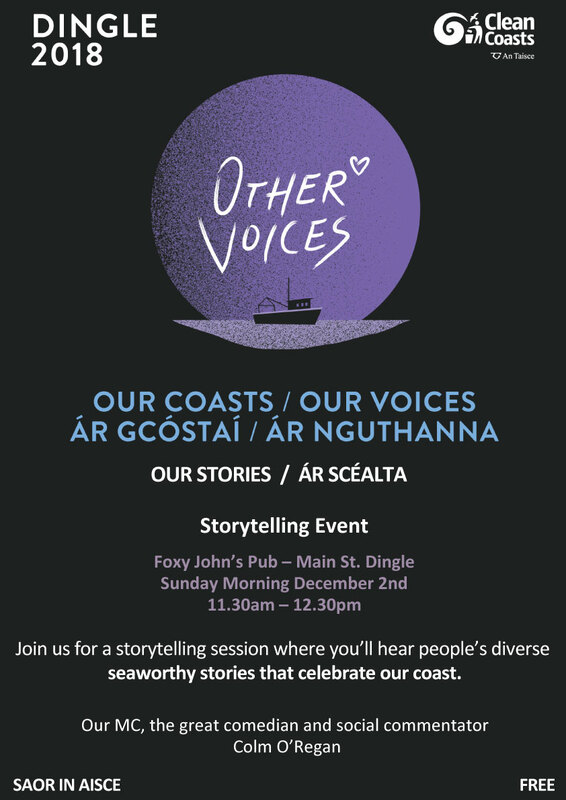 Tá Clean Coasts agus Other Voices ag teacht le cheile le grúpí áitiúla agus náisiúnta chun ocáid taghlaigh a chur ar siúl théama na mara – Mara Beo ar an Satharn an 1ú Nollaig ag tonú ag 11i.n. – saor in aisce. 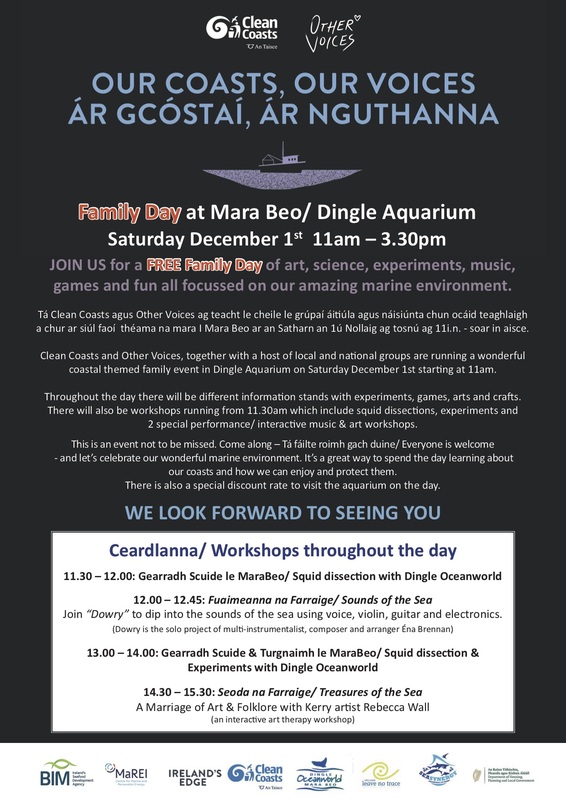 Clean Coasts and Other Voices, together with a host of local and national groups are running a wonderful coastal themes family event in Dingle Aquarium on Saturday December 1st starting at 11am. Throughout the day there will be different information stand with experiments, games, arts and crafts. There will also be workshops running fro 11:30am which include squid dissections, experiments and 2 special performance/interactive music and art workshops. This is an event not to be missed. Come along – Tá fáilte roimh gach duine/Everyone is welcome and let’s celebrate our wonderful marine environment. It’s a great way to spend the day learning about our coasts and how we can enjoy and protect them. There is also a special discount rate to visit the aquarium on the day.